​Indian actor, screenwriter, director, social activist, and rugby union player. 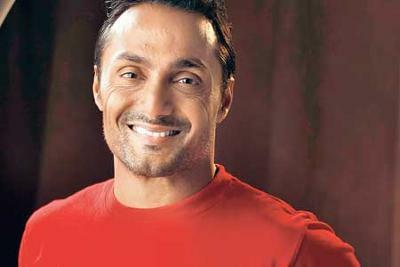 Rahul Bose is an Indian actor, screenwriter, director, social activist, and rugby union player. ​Bose has appeared in Hindi films such as Pyaar Ke Side Effects and Jhankaar Beats. Time magazine named him "the superstar of Indian arthouse cinema for his work in parallel cinema films like English, August and Mr. and Mrs. Iyer. He is also notable for his social activism: he participated in the relief efforts that followed the 2004 Boxing Day Tsunami and is also the founder of the anti-discrimination NGO, The Foundation. Bose is also a former member of India's international rugby team, the National Orange Indian Rugby Team. Leadership – Practical and workable principles of leadership garnered through coaching and captaining a rugby team, helming an NGO and producing and directing films. The Grassy Knoll – Everybody has some skill they are born to do. 9/10 never find it. Out of the 1/10 that do, 9/10 never pursue it due to various factors- financial pressure, lack of family support, fear of failure. Here’s how you can find it, live it and make it earn for you. Personal success and public commitment – How two seemingly contrary pursuits are inextricably linked. A demonstration of how an obsession with personal success automatically translates into genuine and lasting public commitment. I have a dream – India. Who we are and how we can use our past to create an equitable, compassionate, secular and inclusive future for all Indians. Indian Cinema – Past, present and future. Tracing the arc of the country’s cinema drawing parallels with post-independent India’s socio-cultural evolution.